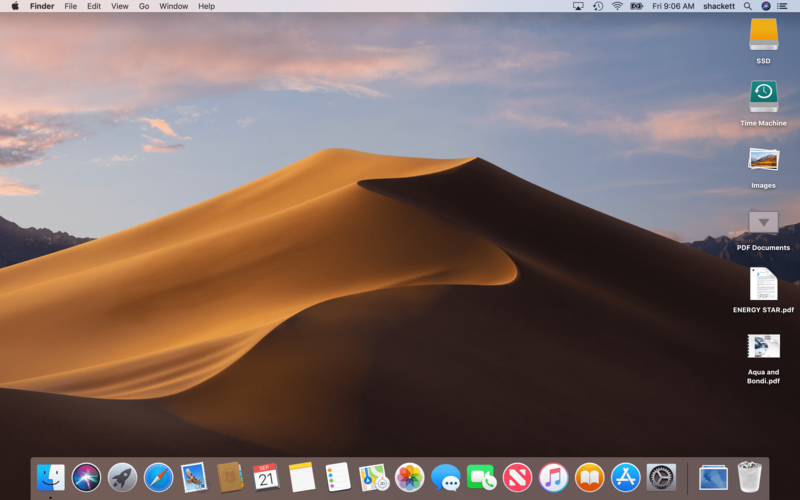 macOS Mojave is here, and can be downloaded directly via the Mac App Store. Quick Actions are a new type of system extension for manipulating files from the Finder’s Preview pane or the Touch Bar. 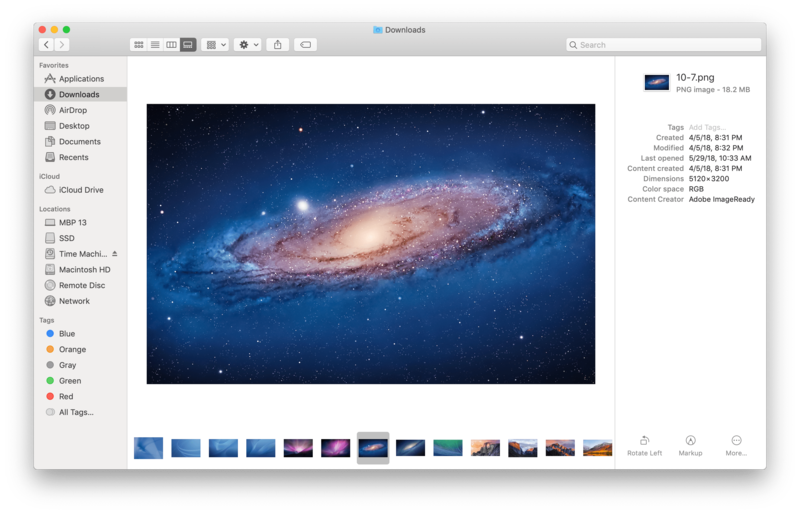 Mojave has Quick Actions to Rotate, Markup, Create PDF, and Trim, all of which work great with images. Trim and Rotate also work with certain video files as does Trim with MP4 audio. Third-party apps can add their own Quick Actions, which are available behind a ‘More…’ button next to any built-in Quick Actions. You can create Quick Actions yourself in Automator too. Third-party applications should be able to offer their own Quick Actions, but not much of that has surfaced yet. All of this stuff makes the Mac more Mac-like, as opposed to some releases that made it more like iOS. You can read more on these features in my article over on The Sweet Setup. 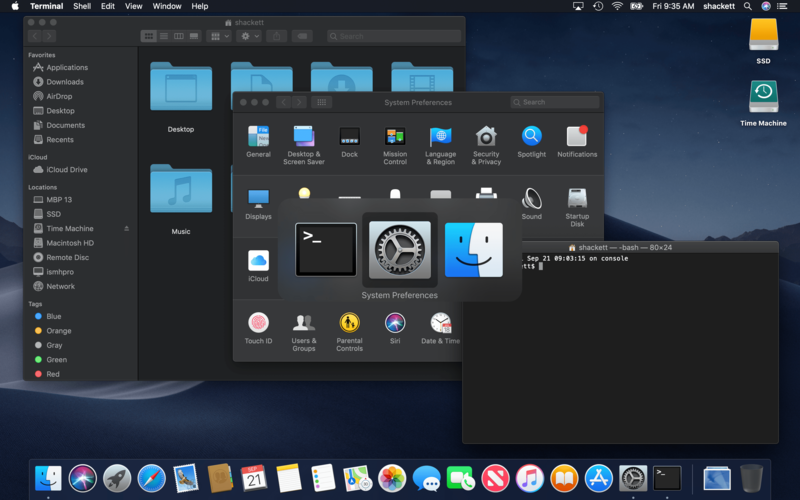 You can check out a whole lot of Dark Mode over in the Aqua Screenshot Library, but it’s easy to see that this the single biggest change to Aqua perhaps ever, including the Great Flattening of Yosemite. While I initially liked Dark Mode, I have cooled on it, and am not using it on my MacBook Pro at this point. It is beautiful, but I wish it offered more contrast in places. It is comprehensive, right up until you browse the web or open an HTML email. Apple should make it easier for web developers to detect and switch their CSS accordingly. Almost all HTML email is bad and dumb, so I don’t know what Apple can do about that, so your mileage may vary. Finder improvements and Dark Mode are nerdy, fun features, but the reason Mojave will be remembered is the inclusion of four applications: Home, News, Stocks and Voice Memos. Every app is a single window. “Windows” generated when you need to set preferences are modal, appear in the center of the existing app window, and can’t be moved—and of course they can’t, because they’re not really Mac windows and these aren’t really Mac apps. They are iOS apps, translated into Mac apps via a method that will be available to non-Apple software developers next year. This move has major ramifications for the future of Mac software. All iOS apps are developed on macOS, but even veteran iOS developers can find it a difficult transition to writing macOS software. Using Apple’s as-yet-unnamed approach, it should be much easier to bring iOS apps over to enrich the Mac. I like that Apple is testing this approach itself before handing it out to everyone else, because there’s clearly a lot more work to be done—not just in fixing bugs before Mojave ships this fall, but in the next year to make sure that iOS apps translated to the Mac behave properly and work well. I share Jason’s concerns that these apps are not up to the standard Mac users are used to. I don’t want to see the Mac overrun with apps that feel like janky ports, but that’s all Mojave has to offer. My guts says Apple knows the UI side of these apps needs a lot of work, and I trust the company will continue to work on this before developers get access to it in the next version of macOS. Don’t let my unease with the current state of Apple’s ported iOS apps leave you with the impression that I don’t like Mojave. I do, and I think it is clear that it is a hugely important macOS release, which is not something we’ve seen in many years. I think it shows Apple’s continued commitment to the Mac, and that excites me. I’ll feel better once we see where apps like Home and News end up. For now, they are part of a large beta program, and one that I hope sees real improvement before shipping. Until then, enjoy Dark Mode.